It sounds simple, but our Founding Fathers worked hard and expected citizens to do the same if the grand experiment in life, liberty and the pursuit of happiness was going to grow and thrive. All citizens shall regularly exercise the rights hereunder guaranteed. Yes, there’s that dreaded word, exercise, with its siblings exertion, work, labor, building muscles and sweating a bit. A group of Oologah citizens are doing just that right now. Will Rogers would be proud of today’s citizens of his Birthplace because of how they’re doing it. First, Oologah residents were among the leaders who forced a secretive, incompetent Rogers County Election Board secretary out of office years ago. Her successor was appointed largely because she fervently believed that a vibrant, active and growing electorate was the key to good government and the country envisioned by our Founders. It was a breath of fresh air for those who believed in government transparency. Formal Open Records Act filings were rare. She and her staff simply asked people seeking information what they needed, figured out what public documents would contain all the needed material, and immediately make copies available. The office even take requests by phone and will send material by fax or scan it as an email attachment—often at no charge and certainly with no requirement to drive to and from the Courthouse when time is very tight. Right now, Oologah has a heated city council race, with 5 contenders for 3 available 4-year terms and 3 others seeking 2 available 2-year seats. The burning issue is that the city has spent somewhere between hundreds of thousands and several million dollars since 2011 for a huge public improvement project. A new City Hall was Priority 1, and it has been built. The town and private citizens created a private foundation for the rest of the projects with Priority 2 clearly labeled as a new Community Center for all ages coupled with the city’s first library, a state-of-the-art multi-media center. Now the city has a new playground and a large splash pad for the kids. There are picnic facilities, including a completely refurbished historic gazebo and an open covered pavilion with seating and tables and grills, a new police station inside city hall badly needed for handling the main four-lane highway from Tulsa to Kansas City that divides the town in half and to handle the needs of a consolidated school central campus with over 1,700 students and 200 employees and a tornado shelter to house all of them during the school day and up to 3,000 district residents nights and weekends. But completely missing is any community center. The old one, while still safe sent a message of dying rather than thriving community. Remodeling wouldn’t work—it was completely outdated and needed to be replaced. Everyone involved in the master plan’s development agreed on that point and on what that new center should include and look like. It was torn down several years ago and other than installing some utility line and pipe extensions nothing has been done to replace it. Meanwhile, the Senior Citizens Organization which was promised weekly meetings with free lunch to replace monthly gatherings, instead must scrounge space just to keep what they had. The Chamber of Commerce annual banquet will be in a neighboring town. Oologah’s longtime AA Chapter disbanded due to lack of appropriate meeting space. The Water District annual meeting and elections—a major social event due to its three-course all-you-can eat BBQ dinner as well as a significant exercise in democracy for a user-owned utility vital to residential, commercial and industrial growth—had to seek sanctuary in the community’s largest church meeting center and kitchen, which were jammed even though board members or policy changes to vote on, just annual reports to hear. And the list goes on and on. Many citizens firmly believe the city owes them the promised new center and library, think much of the money already spent ignores the master plan for which the city paid a substantial sum, are irked at continuous excuses and want action NOW. So they’ve devised a two-way First Amendment action plan: Making personal phone calls to each candidate both to get their views on the issue and to express their concerns. The group hopes to persuade candidates that they represent a huge majority of Oologah citizens and through this education process ensure that whoever is elected becomes committed to the cause. They put Oklahoma’s Open Records Act, born of the 1st Amendment, to work for their cause. The Election Board is so transparent that during business hours, sign-up sheets used to file for office are on the front counter for anyone to read, take notes about, or shoot the entire document with a cell or camera. Citizen group members did just that as the filing period closed, capturing the name, address, office sought and telephone number of every candidate. Distribution just started; it isn’t clear how many citizens will make phone calls or how candidates will react. But it shows that if an issue is important, average folks are ready and able to organize exercise sessions for the First Amendment—hopefully the two-way variety. It is just one more example of why the Open Meeting and Open Records laws born of the 1st Amendment aren’t just for journalists, they equally empower citizens. 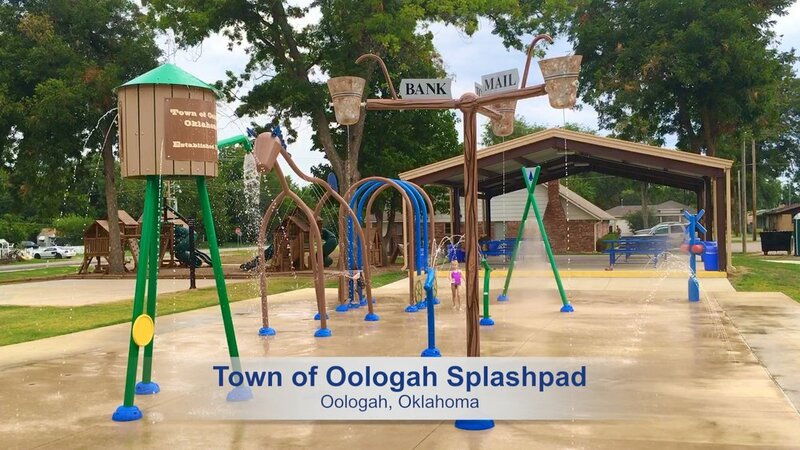 For those unsettled by the current lack of civil political discourse, the Oologah effort may provide a positive plan of action. How Constitutionally savvy are we? Not very, says Clifton Truman Daniel. The grandson of President Harry S. Truman is preparing for a major fundraising drive to greatly upgrade the privately-funded portion of the Truman Presidential Library and Museum. That’s because its ability to teach American history and civics must grow, since our schools have increasingly de-emphasized those subjects and others which government gurus have deemed “not [as] vital” as STEM (Science, Technology, Engineering and Mathematics) in preparing students for the post-artificial intelligence world. “Our nation is in great crisis,” he said in a letter explaining the need for the coming fund drive and launching “a massive renovation project to overhaul the dated exhibits in our museum. “Unlike my grandfather’s time, this crisis isn’t in the form of an external threat, like Nazism or Communism. Rather this crisis is one of our own making. “I’m referring to our failure as a nation to teach the next generation about the principles, values and hard-earned wisdom that made the United States the envy of the world. “Because we no longer emphasize teaching history and civics in our schools, our nation is losing touch with our roots. My family has roots in Jackson County, specifically Truman’s hometown of Independence and frequent hangout of Kansas City, pre-dating the Civil War and Truman’s birth. His love of history and thirst for new perspectives to be gained from new research was legendary. Faith did much of the graphics work for one of the Truman support foundations. She and her family waited the entire night after his death for the viewing at the Presidential Library. He notes that many of today’s generation can’t name a single of Truman’s accomplishments, including recognizing the State of Israel, desegregating the Armed Forces by Executive Order in 1948, chairing a commission that rooted out corruption in military contracts. Yet Daniel notes that 715 of millennials can’t accurately define Communism, 1-in-4 have never heard of the Holocaust, and 2-in-3 don’t know what Auschwitz was. How can they be expected to know what the 1st Amendment is? For that matter, how many of their parents fully understood its importance and power? If they had, would history and civics education have been downgraded today? Seems doubtful, doesn’t it. More than half of Americans (53 percent) incorrectly think it is accurate to say that immigrants who are here illegally do not have any rights under the U.S. Constitution. The people of Oologah have the right idea. They are putting the 1st Amendment to work for them. Now, shouldn’t the next step to be to start teaching current and future generation about how to put this Constitutional tool’s might at school boards state- and nation-wide?